Can goldfish get pregnant? How do you tell if you have a pregnant goldfish and what is a pregnant goldfish called? 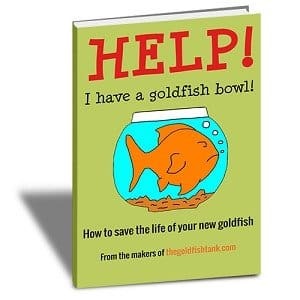 To answer these questions, we first need to know whether goldfish carry their babies in a womb. As you may have read in our recent post answering the question “Do goldfish lay eggs?“, goldfish don’t actually give birth to “live” young that swim away as soon as they are born. 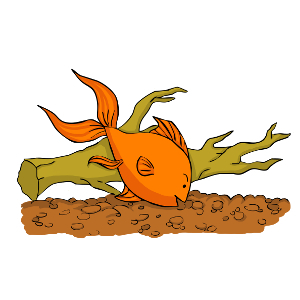 Goldfish lay eggs, which attach to objects in the tank or pond, such as leaves, and stay there until the goldfish babies (or “fry”) hatch. An animal is “pregnant” when it has one or more babies developing inside its uterus. 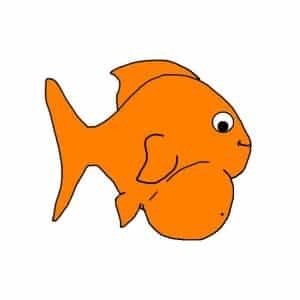 Because female goldfish lay eggs, rather than having live young develop inside them, there’s actually no such thing as a “pregnant goldfish”. But my goldfish is fat! Surely that means she’s “pregnant”? 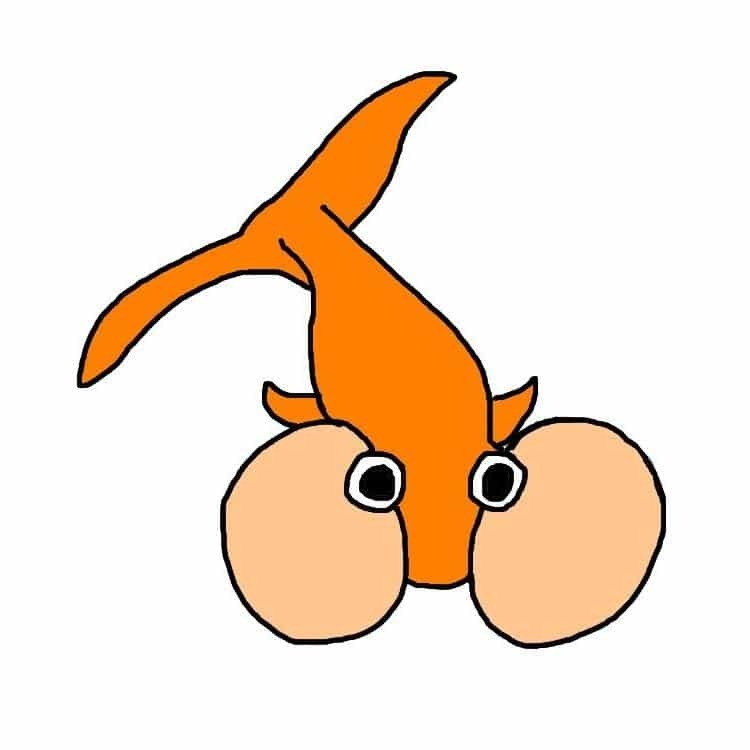 Female goldfish do usually grow fatter shortly before laying eggs, due to all of the eggs developing inside them. However, as explained above, this does not mean that they are “pregnant”. It simply means that eggs are building up, ready to be laid. The reason your goldfish looks fat may not even be related to child birth. It could simply be overfed or – more seriously – could have an illness known as “dropsy“. Is a pregnant goldfish called a twit, twerp or tw*t? Many websites will claim that these (quite insulting!) words are actually terms for a pregnant goldfish. However, there’s no evidence that this is the case and, as we’ve already explained, there’s actually no such thing as a “pregnant goldfish”. It’s almost certainly an urban myth that any of these words are (or have ever been) real words to describe a pregnant goldfish or a goldfish carrying eggs.